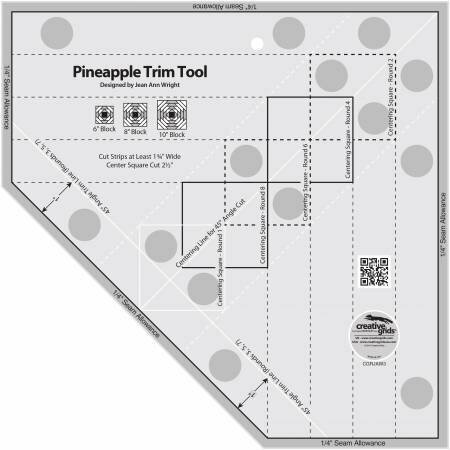 Create perfect 6; 8; or 10 inch finished Pineapple blocks by squaring up each round of strips as they are sewn. Since each round of strips is squared up before the next set is added, the blocks are perfectly square. The cutting requirements for the center square and the strips are printed right on the ruler.